As the evacuees liven up the sleepy village, Archibald the teddy bear travels back to the city, and is adopted by another child, Jack. Through air raids and evacuation, the teddy bear is Jack’s constant companion. When Jack and Maggie finally meet, Maggie recognises her beloved Archibald, and there is a fierce struggle over the bear; whose is he now? Featuring a large and varied cast, the show is framed by the memories of Grandma, as told to her granddaughter Lucy. 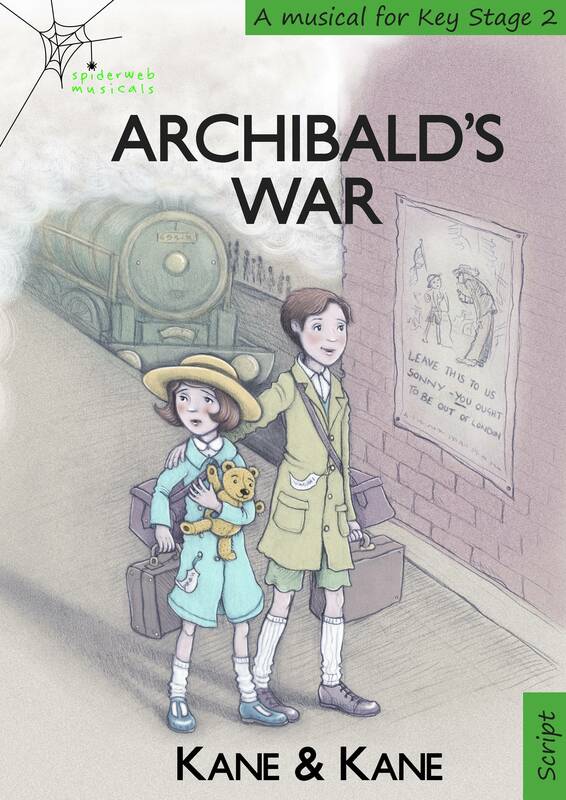 Funny, sad, and with a twist in the tale, Archibald’s War brings the Home Front vividly to life. Archibald’s War was originally performed at Christmas. This script has been adapted for performance at any time of year. However, we have included alternative words and scenes, so the Christmas option is also available to you.